Do You Have a Bomb in Your Warehouse? 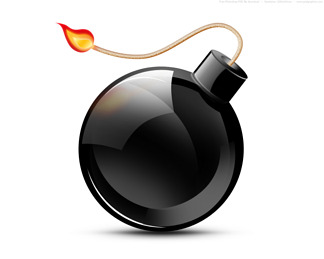 Improper Chemical Storage Could Result in a Bomb in Your Warehouse! Certain chemical substances used in the manufacturing processes are, by their very nature, hazardous. Dangerous to people and the environment, their properties are such that they are valuable components of industrial workflows. For instance, the explosive we most closely associate with volatility, nitroglycerin, has uses for metal-plating, mining, making propellants, and medical treatments. In each case, substitute chemicals cannot render the same quality result. Thus, it continues to be used, but must be stored and secured under precisely-designated conditions to assure worker and environmental safety. In the same vein, some chemicals are dangerous when mixed with others, or when exposed to air or water. These too need to be identified and put in appropriate safekeeping containers when stocked or warehoused. The diversity and number of chemicals used for industrial purposes is large. Since the reactions of these hazardous substances vary, an equally diverse set of storage conditions need to be maintained for them, particularly in the case of firms employing significant quantities of chemicals for their business purposes. Workers must be made trained and certified when handling hazardous chemicals. The warehouse storage-plan must distinguish between chemical-types, indicating which are dangerous on their own or in combination with which other chemicals, to assure employees avoid mixing chemicals and separating them appropriately. While substances that do not react dangerously may be stored together or close-by, reactive-chemicals require separated-storage in other rooms or by protective walls, at all times. Such protective clothing as safety goggles/shoes, protective gloves and coveralls must be provided for warehouse workers; they must wear them on the job. Smoking, unshielded flames and lights must be prohibited. Chemical handling personnel must assure that stored substances are appropriately packaged and stacked in a way that does not damage packages, to prevent escape of substances. Warehouse measures must assure appropriate secondary containment measures and spill-kit availability to prevent spread of any contamination or fire. All emergency/escape exits must be kept free; access routes for emergency services must remain free as well. ABC-powder fire extinguishers and first-aid boxes/eyewash materials need to be situated in the immediate vicinity to provide for fire and health safety. Welding or use of power tools (drilling/grinding, etc) in the area must be regulated and monitored. To assure further worker protection, eating and drinking must be banned in areas where chemicals are stored. Enacting these procedures should better assure your warehouse personnel are protected from the dangers of mixing chemicals. The problems caused by inappropriate storage of hazardous materials are not confined to the warehouse. Workers can be poisoned or injured from contact with improperly packaged chemicals, which can also leak into the surrounding region and wreak havoc on local ecosystems. Moreover, the question: "Do you have a bomb in your warehouse? ", is not to be taken lightly. 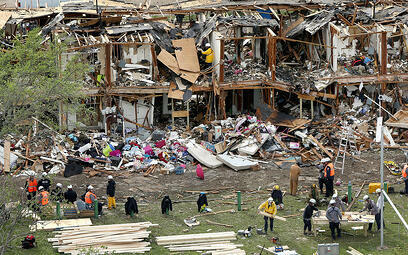 The explosion at the West Fertilizer Company in Texas (April 2013) resulted from careless store-housing of chemicals whose inappropriate combination proved very disastrous: Fifteen people were killed, with 160 injured and more than 100 buildings destroyed. Negligent warehousing of ammonium nitrate, a component of many fertilizers, triggered the deadly blast. Subsequent federal analysis suggested the incident could have been avoided if the chemical had been handled according to specification. Train personnel in proper chemical-handling; ensure your storage procedures and facilities meet all security requirements and hazardous-waste standards. Worry less about cutting costs and more about saving lives.